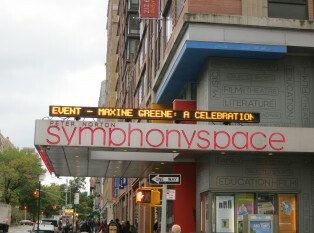 The Maxine Greene Center (MGC), in collaboration with Lincoln Center Education (LCE), invited friends, family, colleagues, students and all those who have been inspired by her life and work to share in a celebration hosted by Symphony Space on Manhattan’s Upper West Side. 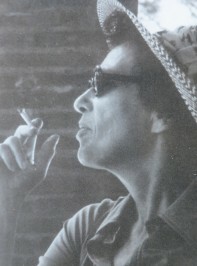 Teaching Artists (former and current) volunteered to give readings and performances to honor Maxine who, all agreed, had changed their lives. 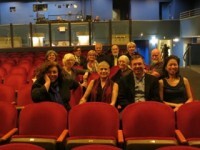 Tom Cabaniss (NY Philharmonic) and Madeline Cohen (Symphony Space) guided us through an evening of dance, music, film, theater and heartfelt reminiscence.